I am very pleased to support Derbyshire Wildlife Trust’s badger vaccination pilot. 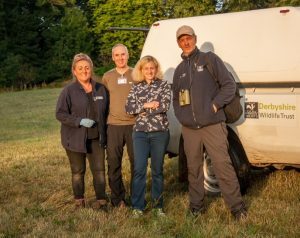 It is important that the pilot is enabled to run its course and be fully assessed as a humane, far cheaper and hopefully effective alternative to culling badgers. The Labour Party oppose the badger cull which is expensive, uses a lot of very scarce police resources and causes huge disruption to communities and farmers. I was very disappointed that the government have allowed the principle of culling in low risk areas including Derbyshire. It is important to protect cattle and farmers’ livelihoods, but it would be wrong to disrupt the long-standing and successful vaccination programme by culling, especially when no badgers have yet tested positive for TB in High Peak.